Any successful hardwood floor installation requires proper moisture testing. Unfortunately many stores that handle a variety of floor coverings do not have the right kind of people handling these tasks. Ask a carpet or ceramic tile installer if they do any moisture testing. Chances are great you won't find anyone. 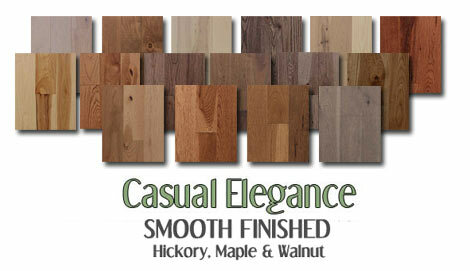 Common carpet stores often send these same guys out to handle their wood flooring installations. 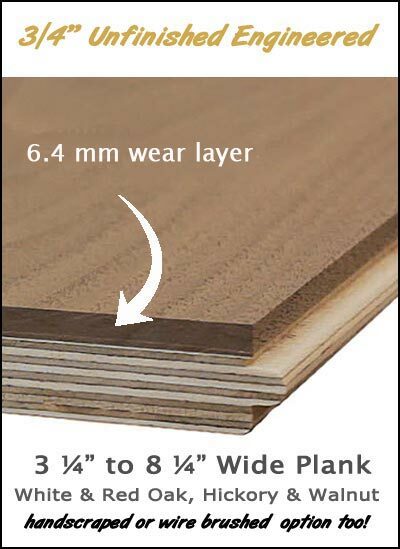 What many installers and builders often fail to recognize when it comes to hardwood flooring is the moisture content in the actual subfloor. Without paying attention to it, an imbalance between the sub floor and new wood flooring can cause unsightly affects with the most common being cupping. 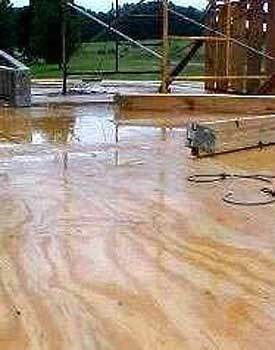 Both wood and concrete sub floors should not be exposed to excessive moisture. 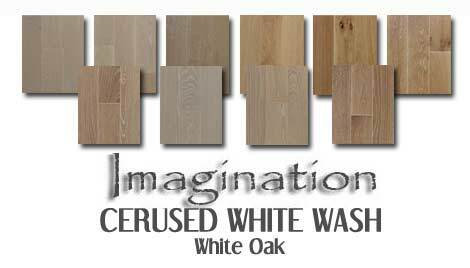 During the building process many subfloors can sit and soak during rainy days. For excessive rains over prolonged periods, keeping subfloors free of standing water can prove helpful. Essentially there is no cause for alarm with wet subfloors during this period. However, if the entire building process is rushed and the subfloors do not dry out properly, problems will happen. For best results in new construction, floors can be protected, but the key is allowing enough drying time and have all windows and doors installed prior to hardwood. 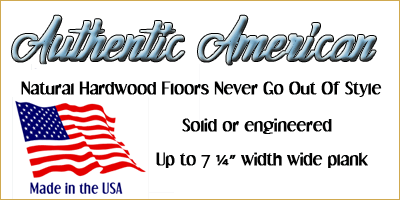 Unlike fifty years ago, hardwood flooring comes from different parts of the country or with exotics, the world. In earlier days trees were often used for flooring from surrounding forests. 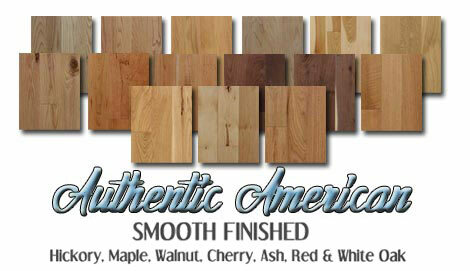 Flooring of the time adjusted to the regions average moisture content. For example, it was not cut down in the hills of Northern Arkansas and shipped to Boston, Massachusetts as much of it is today. It may follow all the necessary drying periods, but who is to know where it will be stored before it comes to your home? Some warehouse on the banks of the Hudson River? Ambient moisture content will vary depending on your climate. In drier climates, content should be lower before the installation and vice versa with areas of higher moisture. Without any attention in testing, your new floors could possibly shrink or expand. There are several hand held meters used for testing. 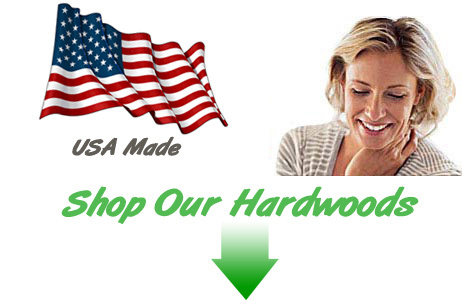 Many can be purchased online and can prove to be a beneficial tool for other areas of the home during building. 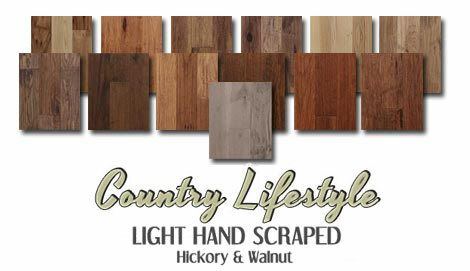 Haven't we all seen shrinking wood work or paint jobs that should have been done during better conditions? This all relates to improper moisture conditions. 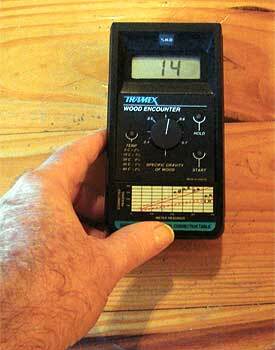 Some of your better meters can test for all types of building materials, but in this case we'll look at wood meters. Included are calibrations used for different species as meters check for moisture, but specific gravity or denseness plays a role in determining the actual content level. It's important to discover what the average moisture content may be in your region to determine what is best suited for your install needs. What may prove successful in Florida for example, may not be for southern California. 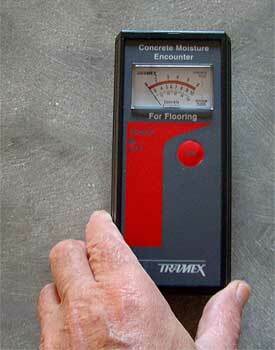 Other forms of testing are meters that test concrete subfloors. 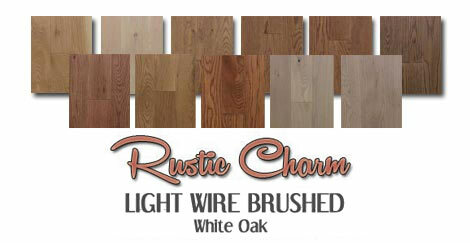 Additionally, relative humidity can play a significant role before, during, and after the installation. For those that do not have access to expensive meters, one simple test can be accomplished on concrete subfloors for less than ten dollars. 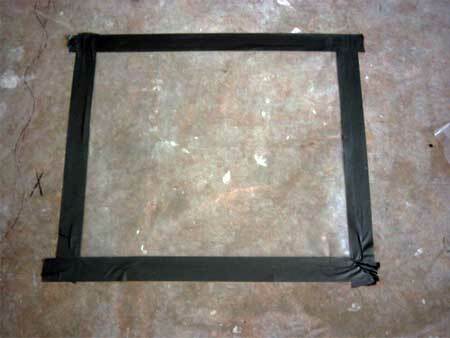 Obtain some poly film (visqueen) and duct tape from any local big box or hardware store. Cut a half dozen pieces (more if the layout is larger) into 2' x 2' sections, place them randomly in your installation area, duct taping the perimeter to the concrete slab. Making sure it's sealed completely and adhered to the concrete, allow them to sit for 24-48 hours then remove. If any condensation or color change takes place in the concrete you have moisture issues that need to be addressed before any installation is considered. All forms of testing and acclimation to the jobsite may become meaningless if there is no attention to the conditions at the jobsite. Older homes may be more prone to adverse conditions than new because of our continued understanding of how moisture affects nearly everything in home building. By no means are new homes absent of potentially new problems. Think about new developments near to one another. Without proper examination of drainage changes with new construction for example, a modern home without previous issues may inherit new problems. Unfortunately this is out of the control of all homeowners, but I thought it important to bring it to attention while focusing more on your immediate property. As simple as they are, rainspouts can lead to problems. A periodic check for clogged spouts from leaves and disconnected downspouts are all factors that could allow water to sit around the foundation. A simple splash block placed at all downspout locations, or a down spout extension that delivers water away from the perimeter of the home is another form of moisture prevention. Most modern homes and their developments take drainage into account when they are built. In other words, when it rains, water disperses quickly from the property. It has been pre-planned with proper grading (movement of topsoil) from around or near the foundation. In some cases drain fields have been implemented if there is no better way of diverting water from the home in cases of more level topography. Lack of diverting ground water away from the foundation creates a wick effect. Any standing water has to go somewhere. If you find your home falls into this category after heavy rains or major snow melt, corrective measures should be taken. Depending on the circumstances it may be as simple as digging a few trenches. All forms of lawn and garden maintenance should be checked. One faulty sprinkler head located near the foundation can deliver a considerable amount of water that may lay unnoticed. 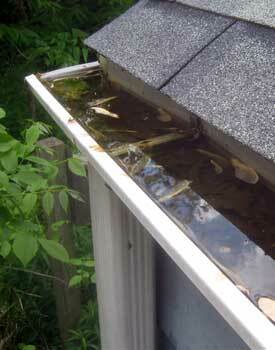 For those with basements, window wells can be a contributing factor where water may sit unattended. If there is no drainage from inside the window area itself it may become necessary to install a drain and micro drain field. If you weren't present from start to finish on the home you live in, you'll never know if the builder used some form of sealant on the outside of the foundation wall, or what kind of sealer. Sealing is effective, however settling of the home can break a seal. The smallest fracture can lead to bigger problems eventually. There are products specifically designed for application on interior foundation walls. A crawl space is an area below a wood subfloor or the floor joists. 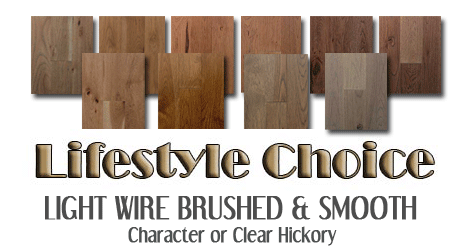 These areas account for a large number of problems when associated with hardwood floors. Proper ventilation must be allocated and the area be protected with thick plastic film on what is usually topsoil. Covering is one requirement, keeping moisture from collecting or forming in puddles on top is another. Excessive moisture in this area can also lead to mold growth on surrounding framing members. Poor drainage has been known to seep into crawl spaces as well. In recent years and the ongoing problems associated with moisture and wood floors, the use of dehumidifiers in these areas are becoming more popular. In extreme situations it may be necessary to implement trench drains around the home. Not individual circular drains, but a ditch having similar functions as a French drain. Our trench drains are actual ditches filled with gravel and or perforated pipes with soil placed above. Used away from the foundation, excess water that would flow towards the foundation and eventually find its way inside is stopped. It seeps harmlessly into the soil away from the home, providing a proper grade is also implemented. Size and depth will depend on your conditions. Best to consult an expert in this area. ¹ The extent of unfavorable conditions is dependent on changes in moisture within the environment. Mild fluctuations will be less obvious than prolonged periods of change.